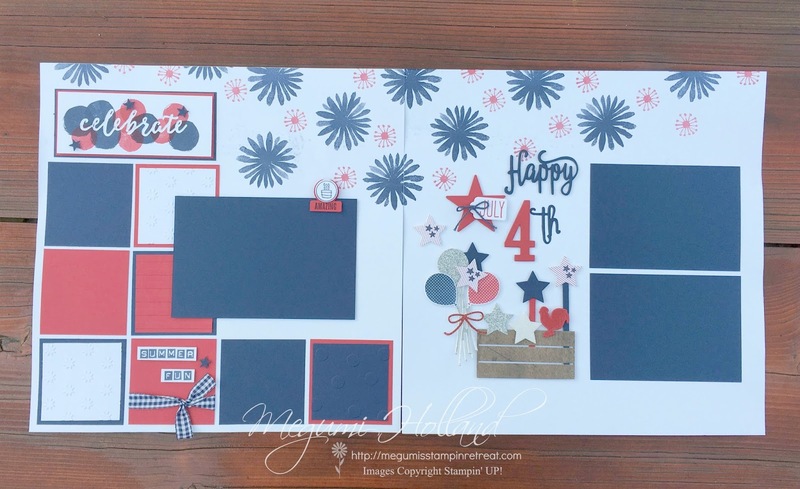 I had so much fun designing these pages! I used two stamps from the Blooms & Wishes Stamp Set to create a fun background of fireworks in Real Red and Night of Navy. 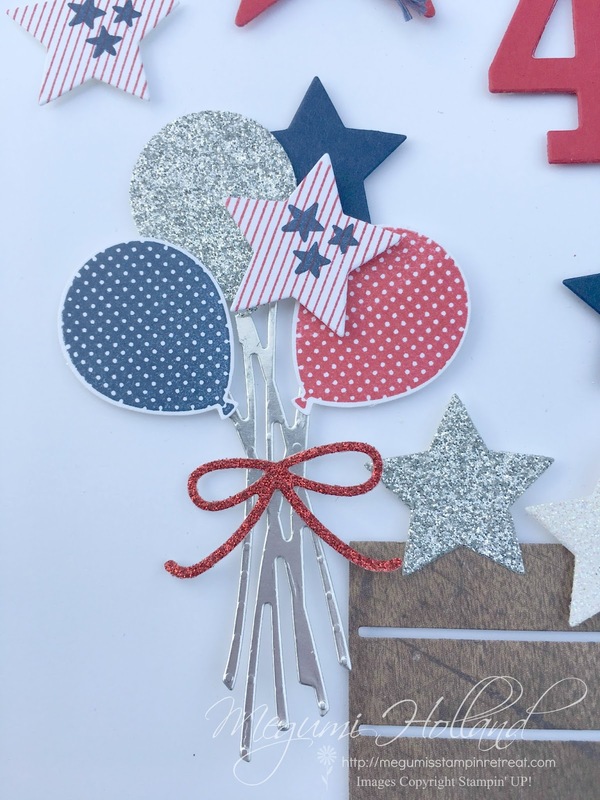 These balloons are from the Birthday Banners Stamp Set and are punched out with the Balloon Bouquet Punch. 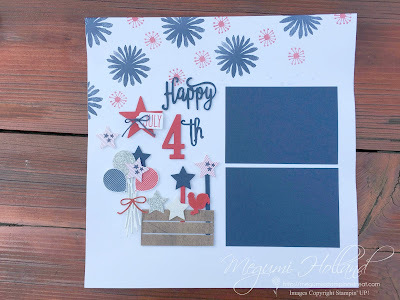 I used the Tabs for Everything Stamp Set to create the striped star and then die cut the image with the star framelits from the Wood Crate Framelits. I die cut a piece of Silver Foil Paper with the "stem" die from the Bouquet Bunch Framelits to arrange my balloons and stars. I added a pretty bow from the Mini Treat Bag Thinlits to finish it up. Really cute!!! I just realized that it's hard to see the embossed square pieces (one red, one blue and two whites) in this photo. Sorry.... 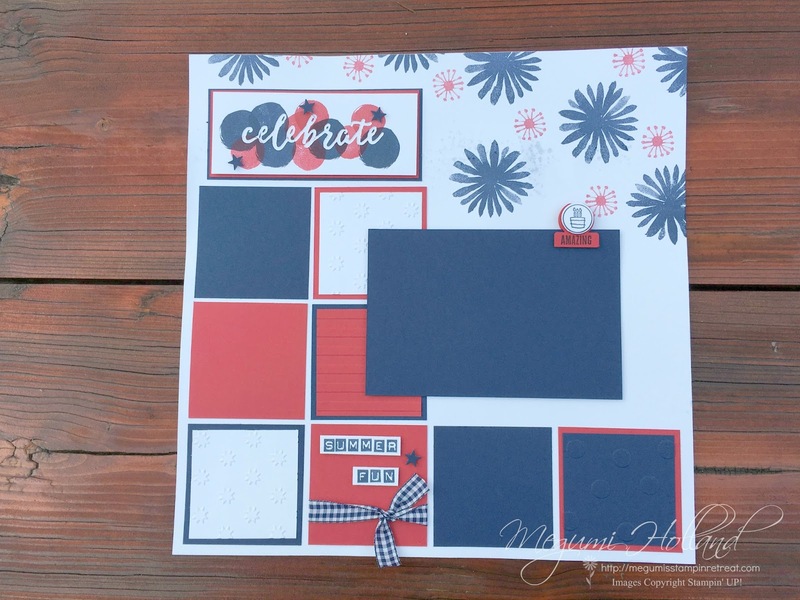 The white pieces are embossed with the new Oh My Stars Embossing Folder and the blue piece is embossed with the new Polka Dot Basics. 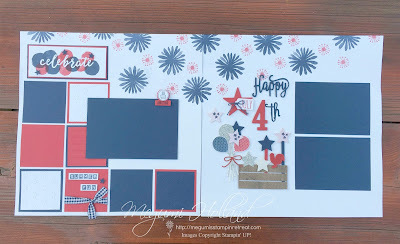 The red pieces is embossed with the Stripes Folder (retired).